Arbequina, is among the best-known extra virgin Spanish varieties of olive oils; there is a current crop about 80,000 hectares. It is an original variety of Lerida, but today it is widespread also in Tarragona, Zaragoza and Huesca, and is usually collected in the early season. The virgin olive oil that comes from Arbequina is a very fresh and young oil by its composition is a little more delicate regarding its oxidation, therefore is needed to protect it to preserve its initial properties, which are so beneficial to us. 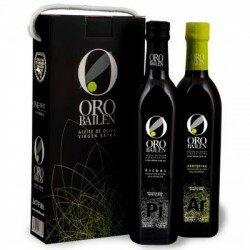 They are reminiscent oils, in smell we note the fresh artichoke and green almond, and taste we can denote flavors of tomato and vegetable garden, because the harvest happens when the olives are very green. They also tend to be dense and fluid but differ greatly depending on the areas and years. 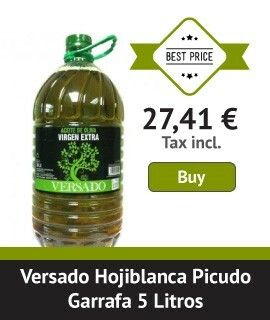 As a rule, it is fruity, slightly green and moderately bitter, spicy and sweet oils. They are very balanced. Our recommendation is that you try this variety as soon as possible because its flavor will be very pleasing to the palate and it will make your salads and toasts a sweet delicacy that will surprise you pleasantly. 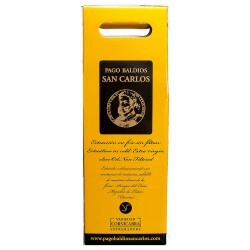 Here we present a series of oils of this variety that are undoubtedly the best currently on the market.